Disclosure: As a co-founder of Inforbix, I understand that my opinion about Search can be unintentionally biased. Nevertheless, I believe the topic itself is very important, so I decided to share my thoughts anyway. Cool is clearly trending. First time I posted about my “FREE and COOL” theory in CAD/PLM about two years ago here. I can see many changes happened since that time. Cool stuff is not a joke any more. It went much beyond the level of geeks drinking coffee in Palo Alto downtown Starbucks. If you want to quantify the power of cool, the following numbers about Apple 3Q financial results can be quite refreshing. Navigate here to see that iPhone business is bigger than whole Microsoft. In my view, the understanding of the cool trend is coming to engineering and manufacturing space as well. Accessing information in a meaningful way can be a very cool way to help engineers in their work. CAD and PLM companies are flirting with enterprise search vendors and search technologies already quite long time. You can read one of my write ups about that here – PLM Lifelike Search Injection. I was reading a blog post by Aras Corp – Get Global Intranet Search From A9 For Aras Innovator. The sticker COOL STUFF caught my attention. Read the article, but more importantly, watch the video. A9 from Alcove9 using open source Apache Solr Search to power their capability to index Aras Innovator content. 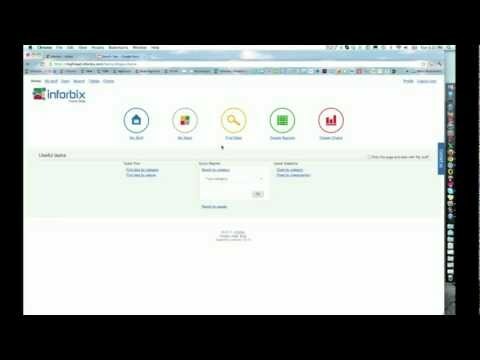 Another video presenting Inforbix Search Tips can give you an idea how search of PLM and CAD content can come from Infobrix. Navigate to Inforbix Search Tip Video to read more. Inforbix is using semantic technologies combined with noSQL data-management approach to provide search and navigation capabilities. PS. Next week, I’m attending ACE 2012 conference in Detroit, MI and hope to learn more about cool stuff from Aras.